Robert Moray played a major role during the English Civil Wars. He was a Covenanter General, French Colonel, a spy for Cardinal Richelieu and maybe, a secret Royalist. He would be accused of instigating the Civil War, betraying his King and country for money, spying for Cardinal Richelieu, and lying to his French employers. Did Sir Robert Moray, distinguished Freemason and first president of the Royal Society betray his King? In order to learn more about this very complex man and the exciting times in which he lived, we will attempt to examine his motives and actions during the war years. The problem with looking back 400 years is separating fact from fiction which in Robert Moray’s case is no easy task. Look what happens when writers feel a need to flesh out details. His close friend, John Aubrey wrote only what he believed to be true. Moray went to university (deduced no doubt because at the time they met, Moray was cultured and well informed) and then joined the French military under Louis XIII (absolutely true). [i] Gilbert Burnet another friend and Royal Society member tells us “he had served in France . . . He was raised to be a colonel there, and came over for recruits when the King was with the Scottish army at Newcastle.”[ii] It is noteworthy that neither writer provides specific dates, and got some of their facts wrong which is understandable since their writing style was closer to a gossip columnist than a historian. There are ample contemporary records to prove Moray was given the rank of Lieutenant-Colonel in the summer of 1642 while still in Scotland, and did not get promoted to Colonel in the Scots Guards until after the Earl of Irwin’s death in September, 1645 four years after Newcastle. [iii] There is no evidence Moray ever attended any university or college and as we shall see below his own letters argue against it, but the lack of such evidence has not deterred writers from creating their own facts. In 1816 Alexander Chalmers wrote Moray was educated “. . . partly in the university of St. Andrews and partly in France . . .”[iv] Now we have Moray attending college in two countries. His dad would be proud, but wait, there’s more. In 1885 Sir Leslie Stephenson adds “Richelieu favored him highly, and he attained the rank of lieutenant-colonel, probably of the Scots Guard.”[v] I will come back to the Richelieu story shortly. As late as 1988, David Stevenson used chance comments in letters written by Moray to the Earl of Kincardine in 1657 to claim Moray was qualified as an engineer. Moray mentions in passing that he recalls visiting a mill on a moat 35 years earlier near Edinburgh, which would have been around 1622. In the second letter, he recalls being in London 20 years earlier in 1637, in the company of engineers who pretended great skill in aqueducts. Based on these two scant details Stevenson claims; “By the time of this latter reference (1637) it would probably not be inaccurate to call Moray himself an engineer. He had embarked on a career in French military service, and it appears that he specialized in technical matters”. Stevenson goes on to base his conclusions not only on the letters but also on the fact that in 1640 Moray is reported as being appointed by the covenanters as the Quartermaster General of the Army. [vii] The problem with this assumption is that these letters indicate Moray was in Britain and not France during the time he references. It would be unlikely he could have been there while on active duty in the French army, especially in the middle of the 30 Years War. Stevensons’ use of a letter sent by Moray to the Earl of Kincardine where he states he never went to university makes it very difficult to support his argument that Moray was an engineer. So where did everyone get the idea Moray was in France before 1643? The only record, if you can call it that, is found in a detailed and very emotional account by Scottish historian Patrick Gordon who gives the following unflattering description in his fiery condemnation of both Moray and Richelieu. This report is not exactly resounding praise for Robert Moray. Here he is depicted as a self-serving, soldier of fortune. His character is so weak he is easily convinced by a promise of money and favors to promote a war between Scotland and England. Clearly, this is not the same Sir Robert Moray we have come to know and two questions immediately come to mind. Who is Patrick Gordon and why is he saying this about Moray? And, more importantly, is any of it true? Patrick Gordon was a Royalist writing in the last year of his life. The head of his clan just happened to be George Gordon, the 6th Earl of Huntly, who along with his uncle James Stewart, Duke of Lennox re-established the French Scots Guards in 1624. Huntly served as captain and commander of the Scots Guards from 1624 until his return to Britain in 1637 during which time he claimed to be badly treated by his French employers. Understandably he was pretty upset by the generous treatment Irwin and Moray received. [xii] This hostility between the clans is clearly reflected in Gordon’s report. This does not mean that Patrick Gordon did not give some very detailed accounts of the civil war, he did. However it helps us understand the allegations he makes against Moray. It is important to remember Gordon is writing in 1649 during the monarchy’s blackest days. In the last six years he had witnessed its’ utter destruction. King Charles, the Duke of Hamilton, the Marquis Montrose, and the head of his own clan, the Earl of Huntly, were all executed between 1649 and 1650. In his mind he sees the new freedom and prestige given to the Scots Guards under Irwin and Moray as prima facie evidence of some great conspiracy at work to bring down the King with Richelieu and Moray at the center of it. However, his version of what happened is at odds with the known facts. There is no record in any biography of Cardinal Richelieu that he ever met Robert Moray. Apparently he was also unaware that all of the terms concerning the Scots Guards were negotiated by King Charles himself not in 1639 but four years later. Gordon also leaves out the fact the troubles with Scotland did not begin with the Book of Common Prayer but in 1633 when the King attempted to take possession of all church lands in Scotland. [xiii] Gordon was a bitter man creating events to meet his own prejudices. Plainly there is a lot of bad information floating around but what evidence is there to give us an accurate picture of the real Robert Moray? Historian Anthony Wood states that at the time of the signing of the National Covenant in February of 1638 Robert Moray was General of Ordinance of the Covenanter Army. [xiv] We can establish that in 1641 he was still a general at Newcastle. We also know he was commissioned as a Lieutenant Colonel in the France Scots Guards in the summer of 1642. [xv] To understand how and why Moray came to be chosen for that position we need to look at the political environment of that time. The influence of the Queen in the civil war cannot be overemphasized. Charles was devoted to his petite French wife with whom he had eight children. In 1642 she had sailed to Holland where she sold her royal jewels to buy shiploads of arms and men to send back to her husband. Trying to return home a year later she spent eleven days in one of the worst storms ever to hit the north Atlantic. Her ships were blown back to Holland leaving everyone on board near death but just one month later she sailed into the winter storms to bring the needed aid to the King. In June 1644, one month after the birth of her ninth child and with a charge of treason against her by Parliament, she is forced to flee to Paris. [xviii]During their separation the Queen writes to Charles almost every day, encouraging him act like a king. [xix] She was a very determined lady and if she had been allowed to stay with Charles his fate might have been very different. By the mid-1640’s the idea of a British Republic only 22 miles off their coast was becoming a growing reality and constituted a clear and present danger to the French Monarchy. It was in their interest to do what they could, short of declaring another war to support the English King. Now let’s take a close look at Moray and see how he fits into this environment. King James set up the department of the Gentlemen of the Bedchamber soon after arriving in England and restricted it by law to no more than 18 members. Of these, 12 members were related in one way or another to Robert Moray. 1. William Murray, Robert Moray’s cousin. 2. Patrick Murray another Cousin. 3. David Murray, Robert Moray’s uncle. 4. Sir Robert Douglas. He married into the Moray family in 1610. 5. Lord Holland, Henry Rich who would work with Moray for a peace in 1645-46. 6. James Hamilton, cousin to the King and closest advisor. 7. William Alexander, Secretary of State and close friend of Thomas Murray. 8. Sir James Young (his father was a close friend of Thomas Murray). 9. Mungo Moray, (not Robert Moray’s father as he was still active in 1648). 11. Sir Digby of Ireland, who also served the royal family by trying to raise an army in Ireland. Few Scots had more political influence in both England and Scotland in the mid-1640’s than Robert Moray. That kind of clout certainly seems to answer why someone might want to enlist his aid in gaining favor with the King. We will examine the when and where he was recruited to go to France shortly but before we discuss those details let’s review a few of the major events of King Charles I early years. Charles had alienated most of his subjects even before becoming King by allowing himself to be dominated by the Duke of Buckingham, who managed to offend every country in Western Europe. As King, Charles was consistent. He invariably made the wrong decision. His wife constantly chided him to act like a King but it was beyond him to do so. His inability to make important decisions coupled with his stubbornness on religious issues would continue to spark unrest throughout his reign. In the end it would cost him his life. His problems with parliament began immediately after his coronation. Charles wanted to obtain funds from parliament to go to war against Spain but the House of Commons refused to comply. They argued the King had already lent ships to King Luis XIII of France, who used them to fight the Protestants in Rochelle, not a popular move for a Protestant monarch. Incensed by their defiance the King dissolved parliament. Next, he appointed his main opponents to the office of Sheriff in their home counties thus prohibiting them from serving in parliament. Unfortunately for Charles this backfired and the members of parliament were even more hostile to the king. On the 2nd of March 1629, the King dissolved parliament again and imprisoned nine members, leaders of the opposition. With the aid of Bishop Laud and the Earl of Stafford he would rule England without a parliament for nine years. In 1633 Charles went north to be crowned King of Scotland and immediately attempted to grab all the church lands in Scotland by pushing through an act giving himself total control of the Church. The Scots voted down the act, whereupon the King had the clerk recount the votes and declared the act had passed. In 1634 when a copy of a pamphlet criticizing the King’s actions, were discovered in the possession of John Elphinstone, Lord Balmerino, the King put him on trial for sedition. For the Scots this was a clear sign King Charles no longer considered himself a Scot. [xxv] They needed only a spark to ignite them into open revolt. Stafford had brought a knife to a gun fight. Faced with certain defeat Charles was forced to sign the treaty of Berwick on the 18th of June. However, both sides knew the King had no intention of living up to its terms. Without a parliament to vote him funds Charles could not afford to keep his army intact and allowed it to disperse, while the Scots kept their army in place. It was only a matter of time before the next armed conflict. If we are to believe Anthony Wood[xxviii] there were at least two generals serving under Alexander Leslie at this time. One of them was Alexander “Dear Sandy” Hamilton, an artillery genius who had designed the highly portable “Dear Sandy Stoups” cannon which would see action one year later. The other was Robert Moray. This raises an important issue. Leslie was an experienced combat veteran. He would choose his generals from men he had served with, trusted their judgment, and who he knew would not panic under fire. If Moray was one of his generals it is highly probable he served under Leslie in Germany during the 30-Years War. This would explain why a third former Leslie general, the Marquis of Hamilton, would travel to Newcastle and cross the battle lines between the English and Scots forces not once but twice to serve as Deacon first at Sandy Hamilton’s, and then one year later at Robert Moray’s, initiation into Freemasonry. In August 1640 it was the Scots who moved first. They crossed the Tweed and advanced on Newcastle. It was a fight neither side seemed anxious to start. During the morning the English and Scots stared at each other across the river at Newburn, a few miles west of Newcastle. Hostilities finally broke out when an English musketeer shot a Scottish officer relieving himself at the river bank. Once again Charles was compelled to sign a treaty with the Scots. This time he agreed to pay them £850 a day for the maintenance of their army to prevent any further incursion into England. Since he did not have the money he was forced to convene parliament. This gave them an opportunity to remove the King’s strongest ally. They blamed the ₤1,000,000 cost of the war on Lord Stafford and demanded he stand trial for treason. One side note to all this is that by the time Moray actually reached France, Richelieu had been dead four months which really blows holes in the conspiracy theory described by Patrick Gordon. Immediately upon arriving in France, Moray and the Scots Guards are deployed and enjoy a series of victories during the summer and fall. But their luck runs out as winter approaches. In November the French Army suffers a crushing defeat at Tuttlingen in western Germany. Four thousand men were killed or injured and 7,000 captured including Robert Moray. [xxxvi] He was taken to Bavaria where he should have faded into history but Fate had other plans. In England the tide of war had turned against the Royalists. By June 1644, the loss at Marston Moor to the combined forces of Scots and English Parliamentarians under Leslie and Manchester reduced Royalist control to less than 25% of the Island. They were now barely holding on in the Southwest and Wales. With each victory the attitude of the English towards the Scots was becoming more and more hostile. It was obvious to the Scots the promises made to them by the English parliament just a few months ago would not be kept. In order to avoid a political disaster the Scots needed to save the very crown they had been fighting to get rid of. On June 14th the roundheads defeat the royalists at Naseby. King Charles and the last remaining English royalists are surrounded at Oxford, his life spared only by the reluctance of Sir Edward Montagu, Earl of Manchester, who wanted a negotiated peace to attack his King. His second in command Oliver Cromwell, would later bring charges against the General and force him to retire. It is at this critical point that Cardinal Mazarin sent Jean du Montereul to Moray in London to attempt a diplomatic solution to the war. Moray is still being paid by France as a Lieutenant-Colonel in the Scots Guards and now is an agent of both France and Scotland. Montereul neglects to inform Cardinal Mazarin the real reason Sir Robert Moray must travel to France. The Scottish Commissioners demand the King must sign the covenant, something Montereul is sure the King will never agree to. His hope is that Moray and Will Murray can influence the Queen to convince Charles to sign. Although Moray tried for a month to convince the Queen he left France thinking he had failed. Unknown to him she had agreed to help but only on the condition the Cardinal not tell Moray for fear her negotiations with the Pope would be jeopardized. In the meantime word had spread that Charles has already indicated to the Independents in parliament that he was willing to negotiate a settlement with them. [xlv] The terms of their offer are so generous it is hard to imagine why the King did not agree immediately to them. Had he done so, the war would have been over. He would only have to agree to ultimately allow them to retreat to Ireland to enjoy the liberty of worship. In return, they were ready to immediately turn over to the King, the New Model army along with the fortresses in its possession. [xlvi] He would never get as good terms from the Independents again. However, the King viewed the terms as an abandonment of the Irish Catholics and would not agree. By now it was decided that a direct appeal to the King was needed and Montereul would go to Oxford and try to convince the King to come to terms with the Scots. As he prepares to for the visit he is in close negotiations with representatives from both England and Scotland. The English are represented by the Earl of Holland, Henry Rich, one the Gentlemen of the King’s Bedchamber and an English Presbyterian. He is worried about having the King come to London. He believes it to be too dangerous since the Independents are ready to intercept him. He and his friends in England would rather have the King go to the Scots. Sir Robert Moray, Baron Balmerino, and the Earl of Lauderdale, John Maitland, represent Scotland. We have two conflicting reports of what went on in Oxford, one from Montereul and one contained in a letter from the King to the Queen-Regent. Montereul reports correctly that the King is adamant about not signing the covenant but claims to run into a brick wall when he pleads for Will Murray’s return. He says the King is heartbroken about Montrose who was recently defeated by Sir David Leslie in the battle of Philiphaugh,[l] and requires Murray go to Montrose and get his permission before he can return to court. [li] This would have been impossible since Montrose was hiding in the highlands and is probably more of an indication that Charles did not trust Montereul as evidenced in the wording of a letter the King writes the very next day to the Queen. It is apparent that the Queen had already told the King the details of the Scottish proposal that Moray had taken with him to Paris in October. Oxford, Thursday, Jan. 8, 1646. I find by Montrevil that his chief errand here is to try if he can obtain more from me than Sr Robert Murrey could from thee, for he rigidly insists upon my consent for the settling of the Presbyterian government here (indeed he sayth it will be but temporary, which likewise he can shew me no probability), alledging that less will not be accepted. This year was destined to be a bad one for the King and all who worked to try to save the monarchy. In January letters from the Queen-Regent fell into the hands of the English Parliament which disclosed that the King was negotiating with the Scottish Commissioners. [liii] A few weeks later Will Murray was arrested at Canterbury and would not be released for seven months. In the meantime, while the King was negotiating with everyone he was also planning his escape to France. Unfortunately for Charles, the Queen who had always stood by his side, devoting her life to his cause, and who had gone so far as to send Lord Kenelm Digby to negotiate with the Pope on behalf of the King,[lv] now realized his cause was lost. In the meantime the war had taken another turn for the worst. MONTEREUL to CARDINAL MAZARIN. London Feb 1st, 1646. At least two-thirds of the Gentlemen of the Bedchamber in 1628 were related to Moray. Although Moray was working on behalf of both France and Scotland, one thing is certain; his actions that day were those of a Royalist. 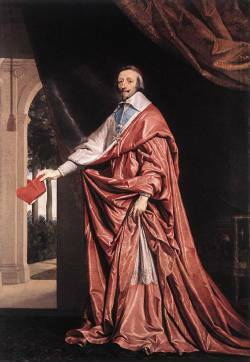 As if King Charles did not have enough problems, by the end of the month news of his negotiations with the Independents had leaked out and on March 1st Montereul reports the news to Cardinal Mazarin. [lviii] He is now desperate to reach a settlement France could support. 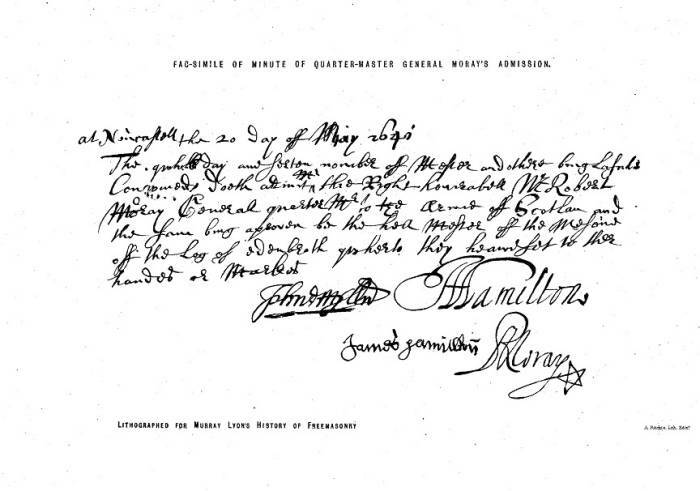 After the capture of the Queens’ letters in January exposing that talks between the King and the Scots were underway no one wanted their signature on any document. Montereul turned again to Moray who agreed to risk his life by signing his name to a proposal to the King on behalf of the Scottish Commission. However, once he has Sir Robert Moray’s signature, Montereul makes an abrupt about face and decides, since it is not expressly mentioned, the King no longer needs to sign nor approve the covenant. This was a grave error for the Scots’ intent was merely to allow the King to save face by approving the covenant in his letter. [lxi] This issue will be the wedge that for a while at least, ruins the friendship between Montereul and Moray after the Frenchman arrives in Newark. In March 1646 Montereul is finally given a passport from the English parliament to travel to Oxford to take leave of the King on his way out of the country but is expressly forbidden to return to London. He arrives in Oxford on March 17th but if he expected the King’s deteriorating situation to make him more amenable to an agreement he was mistaken. Charles’ letter to the Queen dated March 22nd indicates his reaction to the latest offer by Montereul. Ill success, mean spirits, and Montrevil's juggling, have so vexed me, . . . As for Montievil's negotiation, I know not what to say to thee, because he would have me believe his word before thy letters, which indeed I cannot do, and he makes such interpretations as pass my understanding. For example, he would persuade me that you will be content that the peace of Ireland should be sacrificed to please the Scots ; and that to suffer my friends to be banished . . . is not forsaking them;and in particular Mountrose must run this fortune, or else no agreement with the Scots, but this I will constantly refuse . . . In the meantime the King is losing patience with Montereul as evidenced by the last paragraph in his letter to the Queen Regent on March 30th. By now the strain on the King is showing. There will be no rescue for him and his options are rapidly dwindling. He trusts no one and will change his allegiance back and forth over the next eight months as he searches for a way out. On April 2nd, unaware of Montereul’s false assurances to the King, the Scottish Commissioners allow Moray to agree to the terms of the Kings request. The King now thinks he is in a far better bargaining position than he is in reality. However, he is about to get a rude awakening. At this point, as Montereul prepares to leave for Newark, all of the parties are lying to each other and each had to be aware they in turn were being lied to. The basic situation had not changed in over five months. The King had no intention of signing the covenant but tried to get the Scots to believe that he ‘might be persuaded’ while at the same time planning an escape to France. Montereul needed the King to go to the Scots instead of to Parliament in order for France to have any influence on events and put a stop to Cromwell from creating a British republic. He lied to the King about having an assurance from Louis XIII because he was afraid the King would go to London without it. In the meantime, Moray and the Scots had never waivered in their demand that the King must sign the covenant and had to be aware that he would never give in to their demands. The only obvious reason for Moray to agree to the King’s terms had to be motivated by a very real fear that the King might turn to the Independents and travel to London instead of North to Scotland. If that happened the Scots would have lost the only bargaining piece they had to get any concessions from the English including being paid the 300,000 pounds owed them in back pay for their army. Of all the parties involved, only the Frenchman believed his own propaganda and was furious when he was not received with open arms when he reached the Scottish Army. He writes two letters to both Secretary Nicholas and the King. His first letter, warning Secretary Nichols not to allow the King to move north, is returned when his messenger cannot get through the lines. His second to Nicholas dated April 16th states that although things had looked bleak for the King he now believes he has an agreement whereby the King can come to terms with the Scots[lxiv]. The agreement lasts less than one week as evidenced by reaction by the King’s words in his letters to the Queen Regent on the 21st and 22nd . With nowhere left to go the King heads north for the Scots and a polite but confined existence at Newcastle. Throughout the summer and early fall the King uses the Duke of Hamilton and his Brother along with Sir Robert Moray to try one last attempt at reaching an agreement with the English parliament. It is a doomed effort, Cromwell now has a choke hold on parliament. On September 7th, Will Murray is released by the English and allowed to travel north to join the King. However as seen from the following extracts of letters sent to the Queen Regent it takes a few weeks for the King to trust Murray once again. New Castle, Sept. 7th, 1646. By the early part of October Will Murray is an accepted member of the team once more. The King writes a constant stream of letters to Hamilton and his brother as they serve as his intermediaries with parliament in a last minute futile attempt to find a solution to his situation. [lxxv] Moray is also keeping up a steady correspondence with the Duke of Hamilton. However, while he appears to have the Duke’s trust there seems to be some disagreement between Moray and the Duke of Lanerick, Hamilton’s hot blooded brother who wants the king to take action. Sir Robert Moray To The Duke Of Hamilton. brother for his stay, notwithstanding your excusing him." By early December every scheme Charles had come up with to escape his predicament had fallen apart and he was at last willing to consider any attempt to escape. [lxxvii] In the following letter we can deduce that Moray, Will, and the duke had devised a bold but very dangerous plan to rescue the King from his confinement in the castle. On December 17th Lanerick writes to the King begging him to take action immediately. There is no mention of a specific plan to help the King escape in any of the letters between Moray and Hamilton, and although there are secondary reports of the attempt by Moray and his cousin Will to free the King[lxxx], the most detailed is found in Burnet’s “Lives of the Hamiltons” on page 391. The plan is set for execution on Christmas Eve when the garrison will be getting ready to celebrate the birth of Christ and their vigilance at its lowest. By happenstance it was also the day when the English parliament voted to have the King moved back to England. After the attempt failed, word leaked out and an order was sent out from London for Moray and Will Murray’s arrest. [lxxxii] Apparently no one wanted to bring the issue to trial and Moray and his cousin remained at large. During the early part of the year it looked like the Marquis of Argyle would raise an army of Presbyterians to take on the English Independents and Moray supported the move to bring Prince Charles to Scotland. Hamilton, who had fallen out with Argyle, would not join with him and did not support the Engager movement until late summer. That was when church opposition to military intervention caused Argyle to have second thoughts. Moray now enthusiastically joined with Hamilton because they would offer more lenient terms with the King. After gaining the King’s approval James Stewart, Lord Traquair, left for France to talk to Prince Charles about joining Hamilton in the rescue effort. On August 10th Lauderdale traveled to meet the Prince and six days later persuaded him to join the Duke's army. Moray was commanded by the Prince to travel to Holland to raise funds and arms but before he could leave France word came of Hamilton’s defeat and capture at Preston. [lxxxvii] The second Civil War was over. Charles would squander one last opportunity to escape his destiny with the axe. In October, after Hamilton lost the battle of Preston, the King was kept under a loose guard at Hampton Court. Towards the end of the month he finally made good his escape with Sir John Berkley and John Ashburnham and by nightfall reached the coast between Southampton and Portsmouth across from the Isle of Wight. So now we come to the final question left unanswered did Sir Robert Moray betray his King? In answering that question we need to consider not only the events prior to January of 1649 but also Moray’s dedication to King Charles II during the 1650’s. John Aubrey’s comments about Moray serving under Luis XIII are accurate. Aubrey gives no dates of this service but it has to be after his appointment in July 1642 as a Lieutenant Colonel in the French Scotts Guards. Aubrey, Burnet, Anthony Wood, Alexander Chalmers, Leslie Stephenson and strangely enough David Stevenson got it wrong about Moray’s education. Moray states that he never attended university. Patrick Gordons’ account of Moray’s conspiring with Richelieu is totally unsubstantiated as is his other conspiracy theory involving the Swedish Chancellor which follows this passage in his book. The fact that all of the previous writers, with the exception of Alexander Robertson, used this slander as a basis for constructing a relationship between Richelieu and Moray is unfortunate. There is no evidence that the two men ever met. There are no records of Moray’s military service prior to his being named as a General for the Scots army in 1638-39. However, I believe all of the Moray biographers made a huge mistake by failing to question why the most successful Scots general of his time made Moray a general of the Scots army in time of war? It is not reasonable to assume a combat veteran with Leslie’s experience would include any but his most trusted officers on his general staff. Nor did any of these writers question the fact that both of the Deacons at Moray’s initiation also served as under Leslie in Germany in the 1620-1630’s. A young Scots officer serving under Leslie in Germany could have counted on attaining the rank of colonel. In fact, we know that Alexander Hamilton, Munro, and several others did just that. If Moray served under Leslie from the time he was 18 (1628) until the peace of Prague in 1635, when many Scots returned home, he had ample time to be promoted to colonel. It is logical for Leslie to choose his General Staff from such a cadre of veteran colonels. This makes far more sense than the belief espoused by all of the writers that Moray was promoted to general after serving in France as a Scots Guard. One must remember that Huntly as commander of the Scots Guards from 1624 until 1637 only attained the rank of Captain after more than 12 years of service and returned home a bitter, disillusioned, man. If Moray served under Huntly he would have remained a lieutenant and being raised from lieutenant to general in one step is just not credible. Research is an unending task but for now, I think the circumstantial evidence points to Moray moving up through the officer ranks under Leslie in Germany rather than stagnating in France under Huntly. [xxxi] Letters of Sir Robert Moray to the Earl of Kincardine 1657-73. David Stevenson Ashgate Publishing Co 2007. Introduction page 5 note 10. [xxxviii] The East Neuk Of Fife, Its History And Antiquities, Second Edition, Rev. Walter Wood, Edinburgh: David Douglas.1887 Page 217, 219. [xl] Letters of Sir Robert Moray to the Earl of Kincardine 1657-73. David Stevenson Ashgate Publishing Co 2007. Introduction page 7 note 17. [lxxxiv] Ibid Pages 2,3 & 12.